How to cook beets today is a question I ask myself often as I cook beetroot quite frequently. I like to cook beet in different ways every time. 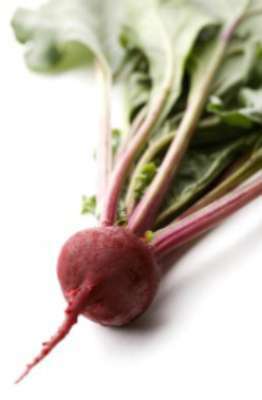 I love beet root. I love the color it adds to my meal and it is so easy to cook. In addition to adding color, beet is health giving. It give us folic acid too which helps in producing body cells. I like to cook it the different way every time. Here are some of the ways I cook beetroot. Try out this sauteed beetroot as well as the beet salad . The Beetroot Halwa is a yummy sweet too. Make sure you use tender fresh beets. If the beet leaves are tender, you may use the leaves too in this recipe. The leaves are nutritious too. Onion(optional) - 1/2 cup chopped fine. Heat oil in a pan. Add cumin seed. Let splutter. If using onions, add onions. Cook for 2 minutes till onions are translucent. Add a little water, about 1 tablespoon. Cover and cook for 5 min on low flame. Add the beetroot leaves if adding. Cover and cook for 2 minutes. After 2 minutes, uncover and check if beetroot is cooked to your liking. If not, cook further till just done. Add another spoon of water only if needed for further cooking. Once the beetroot is cooked to your liking, add salt, sugar, pepper powder and coconut (if using). Mix well. Remove from fire and add lime juice. Mix well. Serve hot or cold. You can serve this beet dish with plain steamed rice or any vegetable rice. Serve it as a side dish for any meal. If you want to make it spicy, add 1 or 2 chopped green or red chilies along with chopped beets. As a vegetable side dish, it adds color, taste and healthy nutrients to your meal. It keeps good in the fridge for 2-3 days. You may serve it cold or hot according to your choice.